It's said that the Nepal earthquake disaster was a big blow to Himalayan tourism, which seems to be true looking at the huge drop in the number of western tourists visiting us at this time of the year. However, it hasn't deterred Indian tourists. Thimphu and Paro are filled with Indian visitors these days. Along with them, countless Indian cars have entered deep into our country when we have enough of our own taxis and tourist cars lying idle this season. Why are Indian tourists not taking Bhutanese cars? The short answer is the affordability. Most Indian tourists love to travel cheap. But the bigger question is how could Indian cars offer such competitive price that the Bhutanese can't beat. There comes the logical reasoning. It's like buying one item from a legitimate shop at certain rate and another exactly same one from footpath at almost half the price. The footpath guy could sell at cheaper price because he didn't have to pay any form of tax. 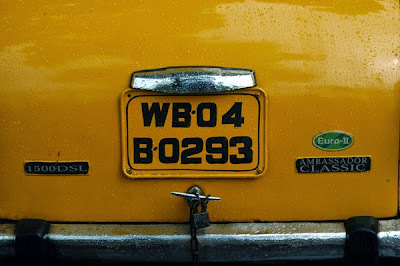 There are two types of Indian Cars coming into our country, one with white number plate that are private cars and other with yellow number plate that are taxis. The yellow ones are rare, even across the border. Why would anyone want to register one's car as taxi and pay commercial taxes when one can easily use private cars as taxis. There must be regulations on paper but our neighbour across the border didn't find it necessary to bring that regulation on the street. Indian cars neither have to pay import tax, nor green tax, which places then at an advantage over Bhutanese cars. On top of that, without the mandate to register their cars as taxis, the cars with white number plates are bypassing every local tax in the land. This is how they easily beat our cars in the market. Nothing surprising. Indian tourists don't have to pay $250 per day, in fact they don't spend that much during their entire tour. The tour operators across the borders use the cheapest hotels in Bhutan, and send in their own cars, thereby contributing almost nothing to our revenue. If carefully calculated, we might find out that they contribute more in polluting our air than building our economy. Not to mention the pressure the additional cars put on our fuel supply. Considering all these, I feel our government should take a simple decision to disallow Indian cars beyond Rinchending (Kharbandi) or allow only those cars with yellow number plates, which is helping India curb the problem of illegal taxis. Any of the two decisions would compel the Indian tour operators to hire Bhutanese cars or tourist buses, contributing more to our economy and livelihood of people living on transport business. One Bhutanese tour guide per group should be made mandatory for the safety of Indian visitors, to give them right guidance, sensitise them to the local culture and habits, especially while visiting the Dzongs and Lhakhangs. This will ensure that our visitors will have the best travelling experience, our roadsides will be clean, our culture respected and our tour guides have constant source of income. Happiness then is truly a place. 1. Many Indians own their own cars especially family wagons of 6 - 9 seaters. With better economy in India, Buying a car and going on a tour is new hip. How would you stop them altogether from entering? 2. Every petrol/diesel engine does create pollution - more or less. How are you so sure that taxis are maintained better compared to private vehicles? 4. On borders, Can't there be a simple pollution check (entry if it has permitted levels of emissions), and a fees depending it is smaller car, SUV or bus - not number plate. Also, a check to know how many times that vehicle crosses border, to curb illegal taxis. If Bhutan needs revenue, it needs happy tourists. You cannot dwell on both employment n revenue at the same time, in this case. While it was embarrassing to be at the receiving end of this diatribe, I couldn't agree more with your points, Passu. Firstly, imo, cars from India (private or taxi irrelevant) must not be allowed to enter Bhutan. Do I expect that luxury with a, say, Bangladesh? And if they are, there must be strict adherence to Bhutanese standards. But the problem would now be - does Bhutan have such a policy, and the implementation muscle, to uphold this policy in practice? Harshad, while I do not know how well you know Passu, I still take the liberty to request you to check your quoted logics. 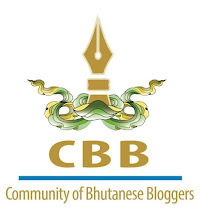 Bhutan has initiated some standards to life, howsoever good or bad one may judge them to be. The least that we - as a well meaning neighbour - can do is to respect them, and contribute to its dissemination while being responsible guests. the last thing we want to see in Bhutan is roads full of vehicles (zipping or crawling). Bhutanese pay almost twice as much for a car as Indians. Despite that fact, taxis operators quote reasonably. Even if they are higher, it doesn't hurt to support a wonderful nation like Bhutan and it's people. After all, we profit from most of their hydro electricity at low tariffs. It's always a give and take. Somehow, we Indians seem to ignore this maxim. Yes, Passu is right in advocating a few legislative guidelines to nip the danger to Bhutan's economy and environment in its bud. Support indigenous commerce when visiting Bhutan.